Have you ever stopped to consider all the different stages in the cycle of a life insurance application and how they affect each other? Think about it. Before a policy is approved, a typical application will need to be handled by a broker, an exam vendor and an underwriter… at the very least. With so many of us involved in the process, it becomes all the more important to stay on the same page. And getting involved in industry associations–such as NAILBA, AHOU, LIDMA and NAIFA–is one of the best ways to stay connected and informed. The purpose of these organizations is to lead, educate and support our industry–whether you’re a case manager, broker, underwriter or exam vendor. Knowing the importance of our role, many ExamOne employees have become actively involved in these organizations. Whether it’s developing educational programs, serving on boards and committees, or volunteering at industry events, our people continually strive to enrich these associations with their knowledge and expertise. ExamOne is proud to highlight these employees and their valuable contributions to the industry. Let’s talk to them about their involvement. 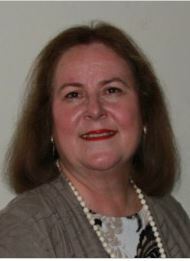 Carol Mucci is an ExamOne sales representative in Alpharetta, Georgia. Throughout her career, she has dedicated herself to learning and growing through her involvement in life insurance industry associations. Carol has served in varied roles on the boards of several associations on a state and local level for over twenty-five years. This includes the National Association of Insurance and Financial Advisors (NAIFA) where she’s volunteered her time at events and served as co-chair of the Community Service, Membership, and Public Relations Committees. Carol is also heavily involved with Women in Insurance and Financial Services (WIFS), serving as President of their Atlanta chapter in 2009, 2014, 2015, and 2018. She was honored as Woman of the Year for 2009 in Georgia, as well as being nominated as National WIFS Woman of the Year at their 2016 and 2017 national conventions. When asked about important things she’s learned from her involvement with these organizations, Carol speaks glowingly of her experience. “I continue to gain business because of my consistency of being involved with the associations. I have also been asked to speak at meetings as a keynote speaker about the paramedical exam process,” says Carol. When we reflect on our employees’ involvement in the industry, one name that consistently comes to mind is Meg Rose. 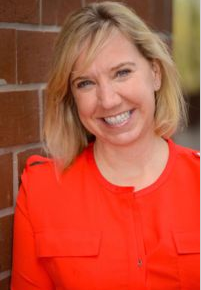 Meg, Director, Strategy and Business Development, based out of Southern California, has become well-known in the industry due to her strong commitment to leadership and active involvement in many industry organizations throughout her career. Meg is a current member of the Educational Task Force for The Association of Home Office Underwriters (AHOU). In this role, she helps develop learning programs and webinars focusing on industry trends and professional development for underwriters. Meg’s experience also includes a nine-year tenure with LOMA. During this time, she dedicated her efforts to education marketing, business development and product development for industry e-learning programs. She’s served as the Director of Education for the National Association of Independent Life Brokerage Agencies (NAILBA), leading a committee of brokerage industry volunteers. She’s also developed education programs for brokerage industry professionals, ALHA and FLMI Societies, and has been a previous member of NAIFA and WIFS in Atlanta. “I had the unique opportunity to begin my career with an entry-level role in an industry association. From a seat inside of LOMA for almost a decade, I was able to grow my career path and a wide scope of relationships while learning how the principles and dynamics of insurance manufacturing, marketing and distribution worked. 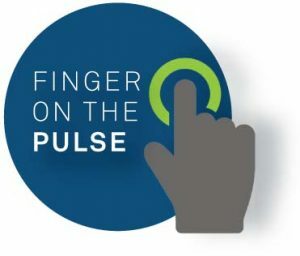 Now in my second decade in this industry (and the decade I started with working for NAILBA), I still find myself directly involved and benefiting from the relationships, educational programs, events and content these organizations build. Associations like LOMA, AHOU, ILTCI, LIMRA, NAILBA, NAIFA, LIDMA, The Life Foundation and many others are still the best resources we have for industry collaboration, networking, professional development, and fostering business growth and change,” says Meg. Debbie Skalisky is an ExamOne sales rep based in Northern California. She has been serving on her local NAIFA board for over thirty-eight years. She currently serves on the board as Membership Chair, the NAIFA-CA task force, and various other state and local committees. Debbie credits her involvement with NAIFA for building strong relationships with the agents, brokers, BGAs and assistants serving her local association. Debbie has also received special recognition for her efforts with NAIFA. 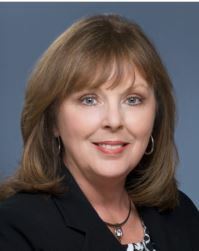 In 2012, Debbie was the recipient of the NAIFA-Northern CA Distinguished Service Award, honoring her many years of dedicated service and support. During her years of service, she has also been asked to speak at her local NAIFA-Northern CA, CLU and GAMA Chapter meetings about the paramedical exam industry. When asked about her years of experience with organizations, Debbie says, “My most important contribution to these organizations has been my time and passion for this industry. I feel it is very important to be involved in our local and state industry associations for building relationships, learning sales ideas from some of the seasoned experts, and learning what we can do to build our industry trust with the consumer–not to mention the wonderful camaraderie at the events. 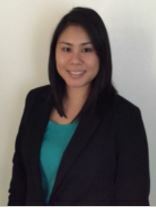 Lauren Hung is another representative from our sales team who has become actively involved in industry associations. Lauren lives in Honolulu, HI, and has served on her local NAIFA board as a director for the past 6 years.